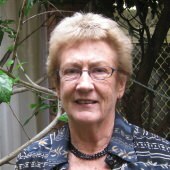 Elaine Armstrong is President of the Country Women’s Association of New South Wales which has a building offering accommodation in Potts Point. 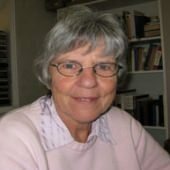 In this interview she talks about the history and work of the Association and her reasons for joining. In the excerpt below, Elaine discusses the reasons for country people availing themselves of the hotel-style rooms the organisation provides. We have a very heavy booking for Christmas and for New Year’s Eve and things like that; we’re just about fully booked out, each of those, because people want to come down to Sydney for the celebrations. But a lot of people come for perhaps the opera and a lot of people come and have their meal and then go off to a show. And some come down for weddings and all sorts of reasons that people use it. When the cricket’s on there are some families that come and stay so they can be handy to get into the cricket and the same with the tennis. The Easter Show [annual Royal Agricultural Society Show]: some of our rooms at Easter are kept for those working at the Show so that they’ve definitely got a bed to sleep in for the Show but still, having three floors of accommodation, with fifty rooms, there’s still plenty of room for others to come at Easter. Word seems to have spread through our associations throughout Australia, the other Country Women’s Associations, about how handy we are to the airport and a lot of people come, stay here from the airport, and use it as a stepping stone to visit throughout the state, whatever, and the same with overseas visitors. We are part of what’s called the Associated Country Women of the World and its head office is in London and we have a South Pacific area president who is one of our New South Wales members and she is on the board over there, so that we do have that link, and we go as delegates to the world conference or to the South Pacific area conferences which, one was in Tonga in September this year.